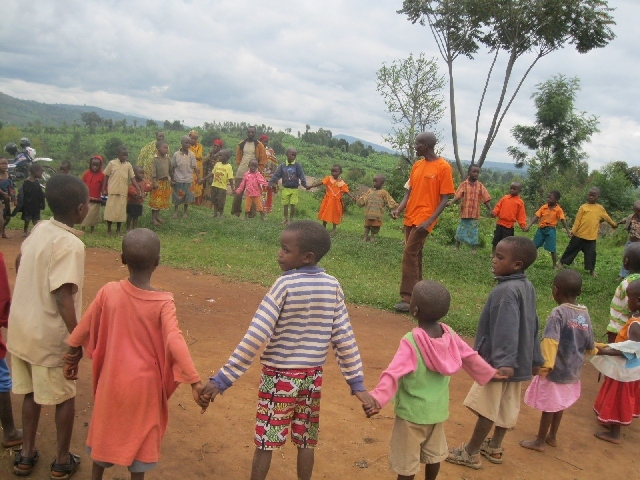 In Mushikamo, primary education is free, and there are schools throughout the community. 87% of children are enrolled in school, however these institutions are overcrowded, with most pupils attending in shifts. Sometimes 100 children are packed into a classroom, with a single teacher whose instruction often reaches only the first few rows of pupils. Due to this lack of space, children start school late, at age 8 or 9, or sometimes older. There is one preschool, with room for only 42 pupils, so almost all children start primary school without any preparation. Unfortunately, only 65% of boys and 83% of girls complete primary school. Boys abandon school to go to cities in search of jobs, and girls drop out to work as babysitters or domestic helpers. While the government is trying hard to expand schools and hire more teachers, there is still much improvement needed in the education system. Schools have management committees, but they are not adequately trained to effectively improve the educational environment. Very few parents or community members are involved in the education process. Health care services and immunization are free for children under the age of five and expectant mothers. Most families in Mushikamo, however, are unable to take advantage of this opportunity because they live very far from health centres. Parents are unable to take their children to health centres when they are sick, and only 15% of births are attended by health workers. Even the families who live closer to health centres can't get adequate medical care because the centres are poorly equipped. They lack medicines, electricity and water, and many of the staff are not fully qualified. This lack of health services also means that community health education isn't available, so parents aren't informed about the signs of malnutrition in their children. 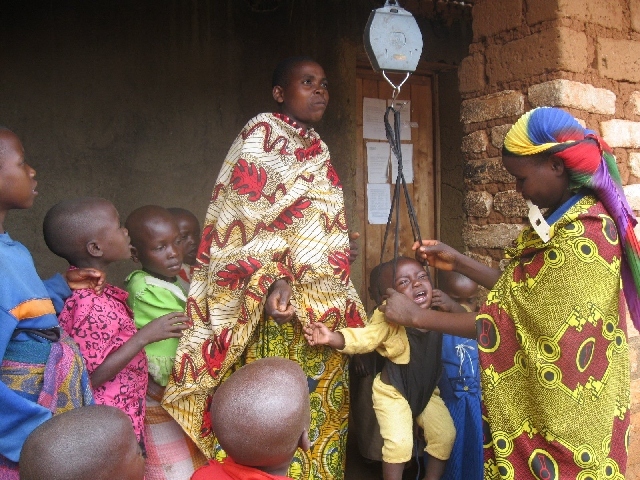 Malnutrition is rampant, and the stunting rate is more than 50%. This is partly due to low food production, but also because families don't eat enough food variety. They tend to sell off the beans, bananas, eggs, and meat they produce, keeping only sweet potatoes and avocados for the family to eat. Unfortunately, malnourished children are susceptible to illnesses like malaria, which is the number one cause of death in Burundi. Families mainly get their drinking water from springs and rivers, and some have to walk long distances for it. As there is not enough water to meet even basic needs, hygiene and sanitation practices are poor. This spreads disease, especially among children, who suffer from frequent diarrhea and infections. Families are unable to grow enough food to sustain themselves, let alone surplus to sell for income. Erratic rainfall and frequent droughts are a major cause, but there are other factors that slow down agricultural production. These include soil infertility, and erosion due to overgrazing and excessive cutting of trees for firewood and lumber. Also, communities don't have adequate access to quality farming supplies like improved seeds and fertilizers. There are not enough qualified agricultural extension workers to advise the farmers on effective farming practices. Preschool-age children are often left at home while their parents are working, and play with little supervision until the age four or five, when they can start helping with chores like fetching water. Years of civil war have traumatized children, and left them living under unsafe conditions. Most cases of child exploitation, neglect, and abuse are neither reported nor addressed. Children in the Mushikamo community need their voices to be heard. 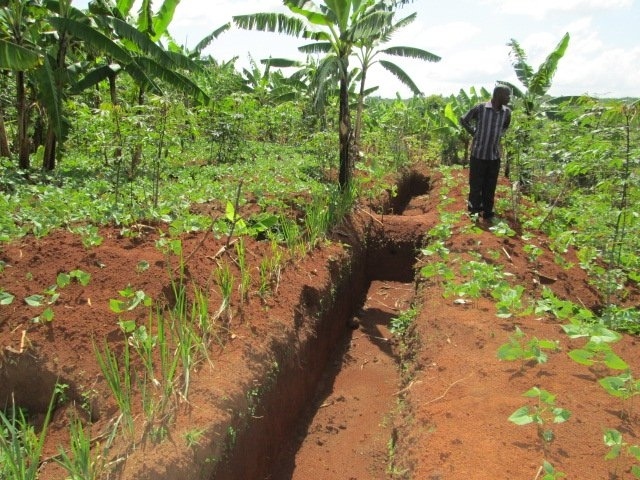 Mushikamo Project is in central Burundi. Families here are very active in farming, growing mainly sweet potatoes, beans, bananas, maize, cassava, and coffee. They also keep livestock - there is a livestock market in Mushikamo that attracts people from all over the country to buy and sell cows, goats and sheep. Unfortunately, ten years of conflict in Burundi turned life upside down for families in Mushikamo. People were killed, families displaced, and buildings and basic systems were destroyed. Families lived in constant fear. Children suffered trauma, and they missed out on education and health care. However, a peace accord in 2003 brought new hope. Sadly, families face a new challenge: dramatic climate changes. There used to be four predicable seasons, but now there are only two: a long dry season, and a heavy rainy season. During the rainy season, intense downpours destroy young crops and erode the soil, which is already weak from overgrazing and deforestation. Most families are unable to produce enough food, and they go hungry between harvests. As a result, many children suffer from malnutrition. The heavy rains also cause rivers to swell and destroy bridges . Because of the danger of drowning, children cannot attend school regularly. There are also serious economic impacts: the rains prevent families from successfully growing cash crops like coffee. The damaging rains are followed by a long dry season, with scorching heat that dries up wells, rivers and streams, leaving families without water. Children are especially vulnerable to illness from drinking unsafe water. Life is especially hard for the most vulnerable people, including orphans, single mothers, people with disabilities and HIV, and people with no land. Children in these families are the most disadvantaged, and their families suffer the most poverty. Train school management committees to effectively manage schools and improve education quality. Increase the number of classrooms. Promote and encourage community participation in education. Establish early childhood development centres for preschool education to give young children a head start in education. 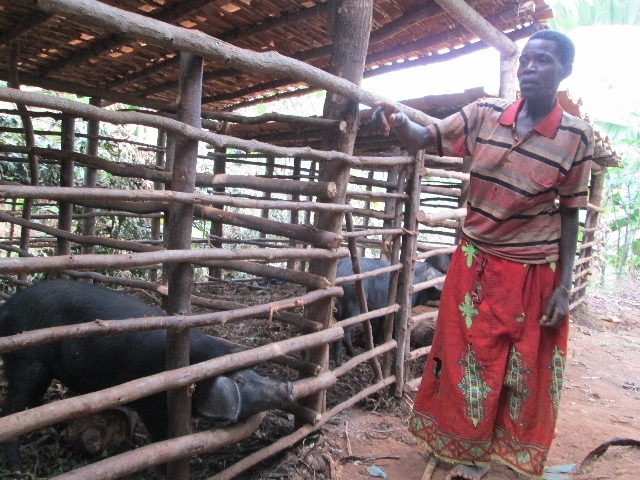 Support farming households to produce a wider variety of agricultural products. Assist the most vulnerable families to increase their household income. Maximize the use of agricultural products for food and income. Empower local associations, committees, churches, and the community as a whole to ensure that children are protected and their rights upheld. Establish early childhood development centres so preschool-age children can have safe places to learn and play.